In Lebanon, responsibility for waste management is assigned to municipalities. However, lack of funds, weak technical know-how, absence of sufficient sanitary landfills and a weak tax system have caused most municipalities to pay only minimal attention to this issue, leading to a widespread environmental problem that will only worsen with time. As a result more than 700 illegal and unsafe dump sites have been registered trough out the country and some of the largest ones are becoming a major problem for Lebanon both in environmental and economical terms. Only few municipalities are equipped with sorting facilities and only few of them are still working. 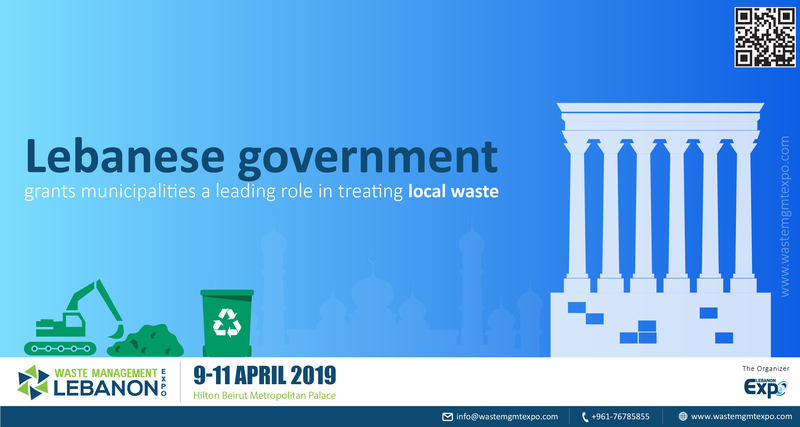 Authorities and communities consider solid waste management as one of the first priorities to be addressed and are thus constantly searching for funds and assistance. In rural areas, 61% of the municipalities surveyed rely on private companies to collect and dispose of urban solid waste, but it appears that 9% of the municipalities do not know or do not want to reveal the destination of their waste. 83% of the rural municipalities dispose of their waste in dumps without undertaking any other activities. The rest, 9% has sorting and recycling units for urban solid waste but due to management constrains only a few of them is actually working. Around 40% of the municipalities dispose of the waste on public properties, 39% use private land, while 21% do not know or do not want to provide information relative to the characteristics of the dumpsite. – They are recovered in a separation unit. In the first case, informal collectors dig out the waste using rudimental instruments. The recyclables they recover in this way, however, are less valuable for a number of factors such as organic composition, impurity and stocking procedures. In the second case, the waste is collected and transported to the separation unit that is managed by the municipality or by a private entity (always in collaboration with the municipality). Whereas in the first case waste management is only a cost to the municipality, in the second case the municipality can profit from the sale of recyclable material. Nevertheless the absence of proper planning and management largely reduces the rentability of recycling for municipalities. This weak management leads to a high demand by recyclers for metal, car batteries, plastic and paper which are nonetheless low in availability. All theses facts and more, will be discussed at the Waste Management Exhibition and Conference 2019, which will be from April 9 to 11 2019 at Hilton Beirut Metropolitan Palace. The focus will be based on the current waste crisis in Lebanon, with the objective of establishing a professional solid waste management plan to overcome the current solid waste crisis.